Please follow the guidance below to register NannyPaye as your Pensions Agent, this will allow the Pensions Regulator to send information about important dates directly to us. You will need your PAYE Reference from us and the letter code from the Pensions Regulator letter to do this. If you have lost the letter and have not yet nominated us as your contact (even if you have missed the deadline), please click here and enter your information to find your letter code. You will need your Accounts Office Reference to do this which you can find in the top right hand corner of your Quarterly Tax Bill from us, or alternatively please call or email us us and we can give you this. Enter your Letter Code as detailed in the top right corner of your letter from The Pensions Regulator. 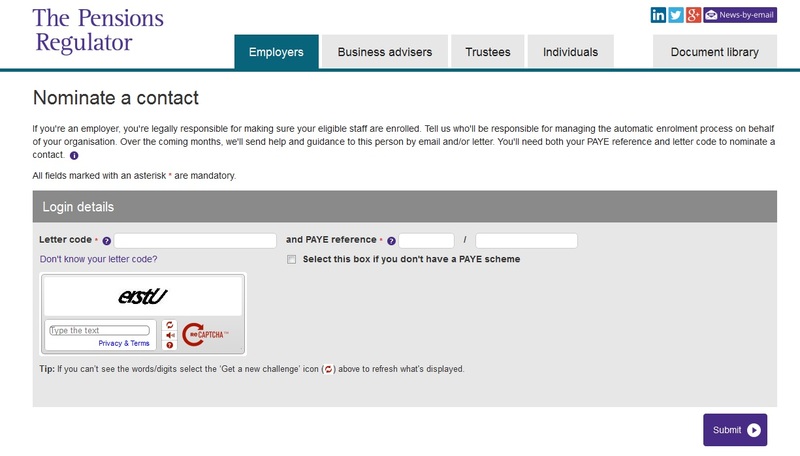 Enter your PAYE Reference as detailed in the email from us. Enter the CAPTCHA data as displayed. Tick the box which says 'Additional Contact'. Complete your details in the boxes. 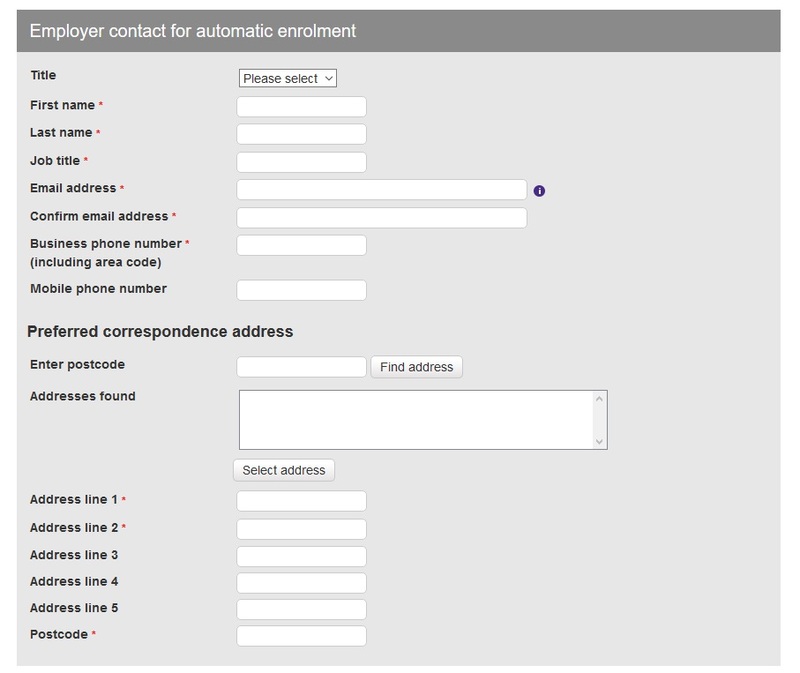 Complete our details in the additional contact boxes. Tick to confirm that you have read and accept the Privacy Statement (the Privacy Statement is directly below this box, please ensure that you read and agree to it).